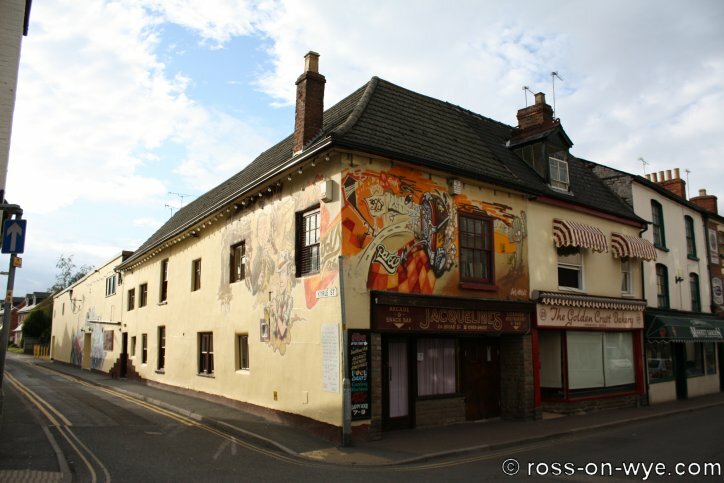 The Top Spot Ballroom, now Jacqueline's Nite Spot, in Ross-on-Wye was a popular venue for bands in the late 1960's and throughout the 1970's when it was owned by Mr. Harvey Fear. Mr. Fear was a local baker who started the Golden Crust Bakery on Broad Street after learning his baking trade in the merchant navy. The Top Spot Ballroom was built in 1964 on the bake house that was at the back of the shop at that time. He sold the Top Spot in 1982 to his ex-rival Mr Henry Danter as recounted below. AS LOCAL showman Mr Harvey Fear bowed out of his Ross-on-Wye entertainment business this week the curtain came down on nearly two decades of local show business. Mr Fear has sold his Note Spot to former rival, Mr Henry Danter, for a sum believed to be around a quarter of a million pounds, and is to concentrate his leisure enterprises in Monmouth. As he left the Kyrle Street club for the last time, Mr Fear was in a nostalgic mood about the 18 years that marked the revolution in the British music business. It was in 1964 that he built the night-club near his bakery and started specialising in late night entertainment. It remains the only club of its type in Ross. He said: "I was lucky. We caught the leisure industry just as it was changing, although we were slightly early. "The first few months were a disaster because we went in for old-fashioned ballroom dancing. But then the groups and pop music burst upon the scene and we were in a perfect position. Many of the big names were just getting off the ground and the kids loved them. "Would you believe that one night we actually had the Beatles down here — for just £35!" Names now in the mega-star listing appeared regularly at Harveys — Alan Price, the Kinks, Showaddywaddy, Johnny Carr and the Cadilacs, and — "the best night we ever had," recalled Mr Fear — The Love Affair when he booked them for £48 and sold 1,000 tickets "at 8s 6d each." "But," said Mr Fear, "as the pop band business grew more prosperous artistes became more temperamental and often would not honour the contracts." Then as fashions changed, the business stayed in line with the successful introduction of wrestling, bingo and discos. As he left the club for the last time, Mr Fear, still eager to develop his entertainments business, admitted: "With the recession people simply do not have the money to spend on leisure activities and it is difficult to know what to do next. I do not like the wait-and-see attitude, but it might be prudent for a while." Other bands and artists that are known to have played at the venue included, Robert Plants Band of Joy (before Led Zeppelin), one of the Walker Brothers, the group that recorded everlasting love and were top of the charts the day they played Ross-on Wye, Unit 4+2, Chicken Shack, Savoy Browns Blues Band, Love Affair and The Nice. When Fleetwood Mac played it was the original lineup with Peter Green and they stayed at the Queens Hotel on Station Street (now called the Drop Inn). Although the Kinks are listed as having played a number of times, they may have been booked but they only actually appeared once. Thanks to Philip Meek for initially raising my awareness of the venue.